To enrol your child with us, you will need to return a complete application form and a signed copy of our terms and conditions. We also require a £50 non-refundable registration fee. This can be paid by cheque or bank transfer (please contact us for more details). Your application pack can be emailed, posted to us or dropped off in person. You may apply before or following your visit. Once your application is received, you will receive a confirmation email that your child has been added on our waiting list for a place at your preferred start date. We will then contact you only if, and as soon as, a place becomes available. In the meantime you are always welcome to contact us for updates. We work on a first come first served basis. We take children all year long, but September is usually our biggest intake, since the older children leave the nursery and therefore places become free. Siblings take priority and families who are already with us will be given first choice on days. A place is offered for 2 days per week minimum. For more details, please click below to see our terms and conditions. We offer a free settling in week which is flexible and gradual. One member of staff will be specially chosen to nurture your child from the day he or she arrives and to support you. This designated member of staff will be your child’s ‘key carer’. They will work very closely with you and will be available to talk to you on a daily basis. When you get offered a place at the nursery, you will need to arrange with the waiting list coordinator a start date for your child to join the setting. The week prior to your start date, you will need to do a settling in period. This usually takes a week. On the first day: You will spend an hour with your child in their playroom getting to know your child’s key carer. You will also meet other staff and children in the room. These children will be in your child’s peer group throughout their time at nursery. On day 2: You will come for an hour, staying with your child’s until they are settled and then leave the room. You are welcome to stay in the building or close by in case we need to contact you. Please return at the end of your allocated hour. On day 3: You will stay with your child until they are settled, and then if you wish, you can leave the premises, as long as you are contactable. You will need to pick your child up after lunch. On day 4: Your child will stay for lunch and a sleep (if they do have an afternoon sleep). We will ask you to pick them up at 2pm. The last day: Your child will stay with us from 10am until 4pm. What does ‘key carer’ mean? The key carer makes sure that, within the day to day demands of a nursery each child feels special and individual, cherished and thought about by someone in particular, while they are away from home. The child will experience a close relationship which is affectionate and reliable in the nursery as well as at home. The key carer approach ensures your child has the opportunity to build a personal relationship with ‘someone’ rather than ‘all of them’ in the nursery. The benefits are likely to be peace of mind, and the possibility of building a partnership with professional staff who may share with you the pleasures and stresses of child rearing. It is liaising with someone else who loves your baby or child too. Every parent is a specialist, in relation to his or her own child. And every worker in early childhood education and care is also a specialist, in child development. 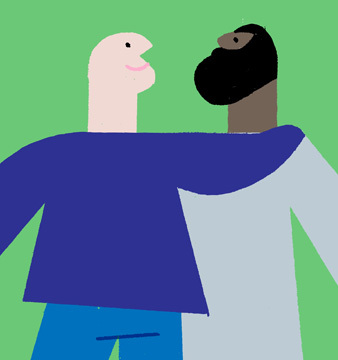 The best possible start that babies and young children can have is when these two specialists come together to share their knowledge and experience and understanding with each other. Before birth, babies are literally attached to their mothers. After birth this very important attachment mostly continues although they are physically separate. Soon other people become important too – dads, and perhaps siblings and grandparents. These first relationships continue to be especially important when children start to move between home and the wider world whether at three months or three years, or any time in between. But spending time in a setting means that babies and young children will have new important people as well. This is very good for them, as long as they can start with a ‘special’ person who knows all about them and is usually around. They need their ‘specialists’ to be in regular communication! We choose our staff very carefully. They have committed to a career in childcare and therefore have a genuine love for children. They are committed to developing each child to their full potential. 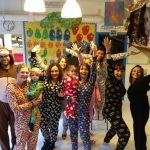 Many of our staff have been with the nursery for 10 years and some of us for longer. We have a multi ethnic staff team ranging from young, newly qualified staff to experienced older members, with some of us in the middle! We also have a large male work force who work with all ages. Each of the rooms are balanced with staff with different skill sets and different ages. We employ independent music teachers and artists. 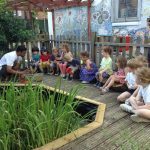 We also have a fully trained Forest School teacher who conducts weekly sessions with the children in the adventure playground in Shoreditch. We have a wonderful cover staff team who will step in to cover staff sickness, absences or help with swimming and outings. All our staff have extensive, ongoing training and all training needs are assessed regularly. 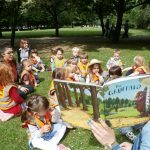 We employ our own Early Years Specialist to ensure all the planning, observations and assessments are of the highest quality. We have monthly staff meetings and in-house training. Staff have regular supervisions and staff development meetings. 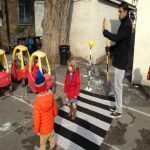 We are supported by the Hackney Learning Trust who provide support, Early Years training courses and seminars, as well as long term development initiatives such as, ‘Eat Better, Start Better’ and the 27 Month Integrated Reviews. All our staff are DBS checked (Disclosure Barring Service), to ensure they are suitable. All the staff are trained in safeguarding children. The majority of staff have paediatric first aid training and some are trained in dealing with allergies and anaphylaxis. We believe that parents and staff working together is vital to ensuring a child’s individual needs are fully met and each child gets the most out of nursery. 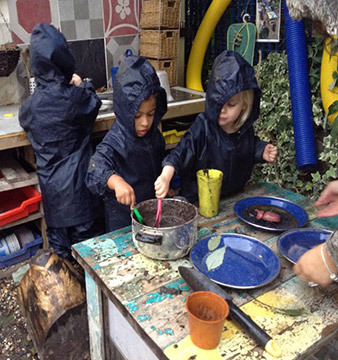 The children enjoy extra-curricular activities provided by specialist staff. They enjoy weekly music and movement sessions with Alison, football sessions with Ricky and Forest School with Amrik. The children also enjoy weekly cooking sessions following our healthy ‘Eat Better, Start Better’ programme. We are recognised by Ofsted as an ‘outstanding’ Nursery.